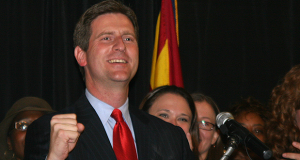 Phoenix must become more innovative and increase its exports to become a leader in the global marketplace, Mayor Greg Stanton said Wednesday. The Phoenix mayor plans to host a public Super Bowl party in preparation for the big event coming to Arizona next year. Cities can’t wait for new federal funding and updated policies needed to advance transportation projects, Mayor Greg Stanton told officials from around the country Monday. Speaking to more than 2,000 at Desert Vista High School in Phoenix, Obama laid out a six-point plan that he said will help first-time homebuyers and people who lost out when the bubble burst get home loans, make rental homes more affordable for people who don’t own houses, and ultimately wean American off the government-backed mortgage system that the president faulted with causing the housing crash in the first place. Phoenix officials are worried that a provision imposed by the Legislature to ensure a return on its investment in the Phoenix Convention Center will cause the state to withhold sales tax revenue from the city.